Bridges and other structures are crucial asset elements of the infrastructure network. It is essential that their condition is monitored and repairs are planned and completed in an efficient and timely manner. The systemic inspection, condition rating and monitoring of these assets are vital components to managing the lifestyle of these structures. This 3-day workshop will assist participants to develop the knowledge and skills to conduct Level 1 and 2 inspections in accordance with industry best practice. Attendees should have a basic knowledge of bridges and culverts. A Level 1 routine maintenance inspection is required to check the general serviceability of the structure, particularly for the safety of road users, and identify any emerging problems. A Level 2 condition rating inspection is a key step in assessing the effectiveness of past maintenance treatments and identifying current maintenance needs to assist in the forecasting future changes in condition and estimating future budget requirements of structures across the network. The Level One content is covered on Day 1 and the morning of Day 2. Level 2 then continues from the afternoon of Day 2 until the end of Day 3. Participants who wish to complete Level 2 are required to attend all three days. Please note: To take part in the VicRoads prequalification, you must be a paid delegate at a Level 1 and Level 2 Bridge Inspection workshop being held in Melbourne. Joshua is an experienced Structures Asset Engineer specialising in the delivery of professional asset management services to various clients. His skills include the management and delivery of Level 1 and Level 2 inspection contracts and has been involved in the inspection of over 1500 structures in the last two years. Robert is an experienced structural engineer specialising in the delivery of professional asset management services to the private and public sector. His skills include the management and delivery of Level 1, Level 2 and Level 3 inspection contracts and he has been involved in the inspection of over 600 structures since joining ARRB. It will be beneficial for attendees to have a basic knowledge of bridges and culverts. 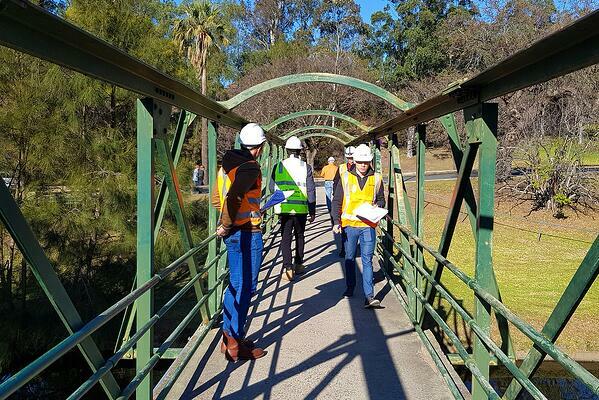 Many road authorities require bridge inspectors to undergo additional internal training before being allowed to lead level 2 inspections for their agency. The internal training usually includes organisational policy, systems and procedures and industry best practice. For instance, in Victoria, VicRoads now recognises the ARRB Bridge Inspection Level 2 course as a prerequisite to inspect VicRoads structures. ARRB is working towards gaining recognition by other road authorities Australia wide.